Thank you for the nice tribute to the political posts and books with Allen. Makes me smile. It's hard to smile though! Every day this guy does or says something to make my nausea almost unbearable. I still have an abiding obsession with cartooning on current events. Obama's White House is a commentary MACHINE. But....but...but the MSM says he walks on water! 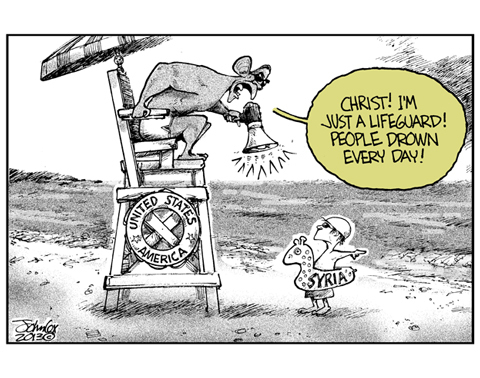 Only hide that "lifeguard" is saving is his own. Ivory [lifeguard] tower [of babble]. Not bad. I can see how you connect the dots. The Great Pretender doesn't want anyone to know he can't swim. This page contains a single entry from the blog posted on June 25, 2013 12:10 AM.